A 4"x6" set of clear stamps, made of the highest quality, non - yellowing polymer. 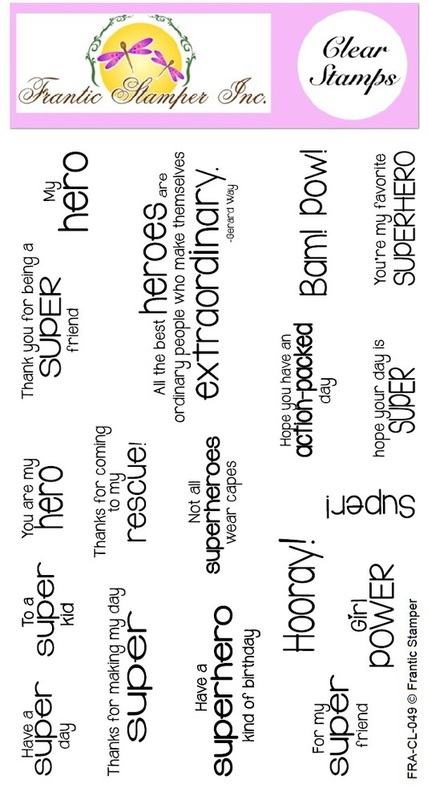 Our clear stamps are proudly made in the USA. 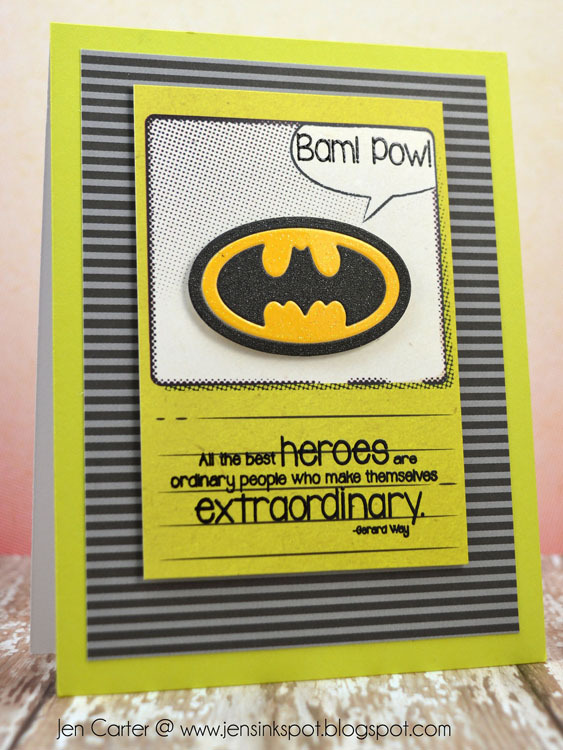 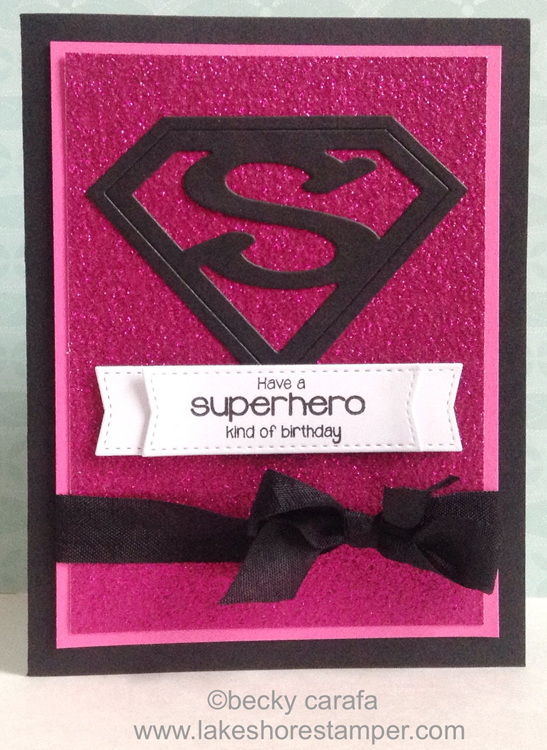 Featuring 18 stamps, this set includes a variety of words and sentiments to create your super hero cards. 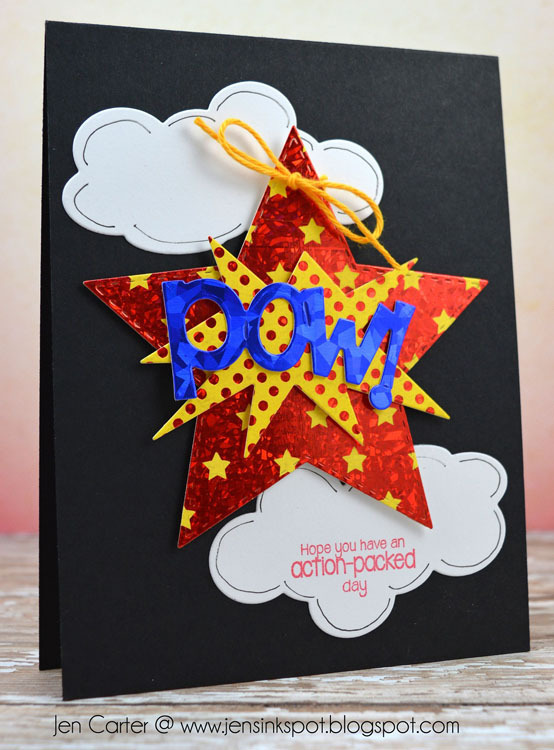 The wide variety of sentiments lends this set to so many occasions such as birthday, thank you, friendship, girl power, or just a simple pick me up.